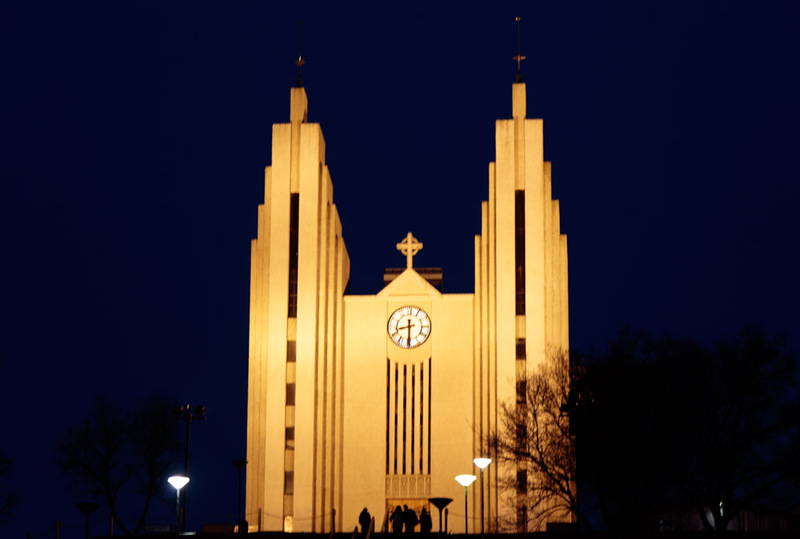 The church in Akureyi is lit up at night and it is easy to see that it was designed by the same architect Guðjón Samúelsson, who designed Hallgrímskirkja in Reykjavik. Unfortunately I did not manage to have a look inside during the time we were there. After dinner at the fish & chip restaurant, we drove out of town to avoid light pollution and to try and catch the aurora borealis or Northern Lights. 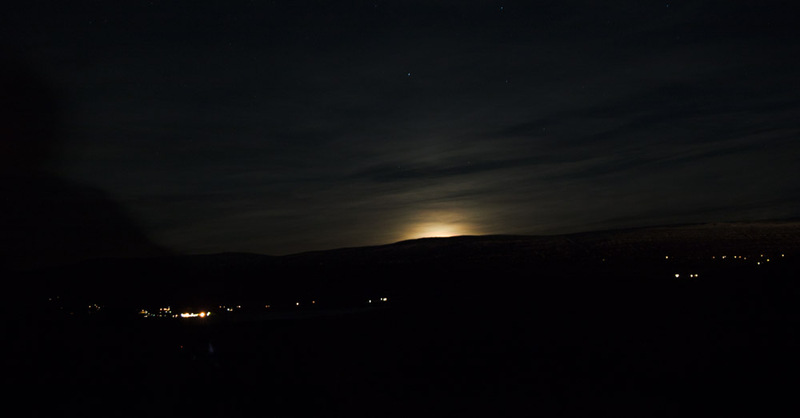 Despite there still being some cloud we arrived at our spot just as the moon was rising and managed to see some lights. The Icelandic Met Office website is very useful for travellers as it provides not only weather forecasts but avalanche and earhtquake warnings and even aurora forecasts up to a week ahead. http://en.vedur.is/ We passed several of their weather stations on our trip. There was cloud cover for the rest of our trip and no more sightings. I suspect that you would need to be further north in Norway or Sweden to be more certain of seeing them although I do remember a sighting from Aberdeen when I was a student there about 35 years ago. Two of our co-travellers had been in northern Scandinavia before coming to Iceland and had plenty of snow and aurora sightings. 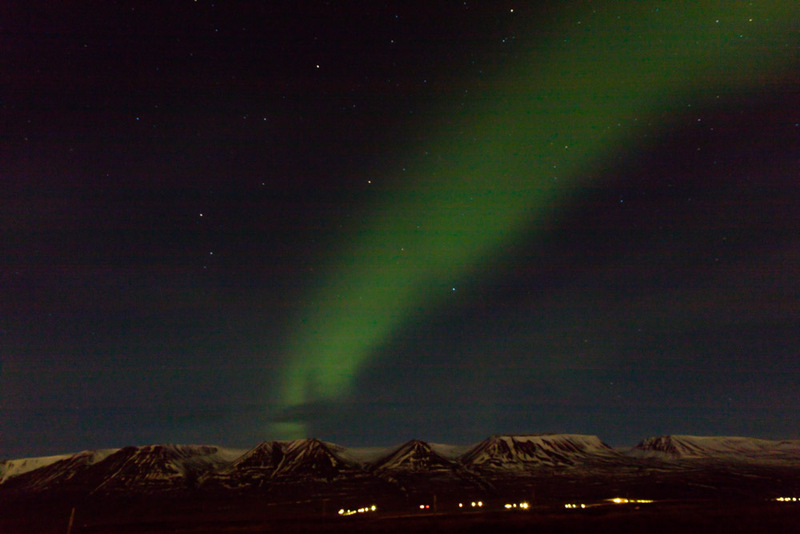 My friends and I got lucky with the northern lights on our trip to Iceland last fall, it’s amazing, isn’t it? !